As the new year approaches, there’s going to be a massive rush of people trying to get into shape for their new years resolutions. This is going to mean big crowds at gyms and masses of people out jogging in the parks when January arrives. That’s why some people choose to start their fitness journey with in-house equipment instead. This way you never have to wait for equipment and can use it at any time, without a crowd of people sweating and grunting all around you. Rowing machines are a popular choice for many because they give a great all around workout. They hit your legs, core and upper body while also working your cardio. Our top pick for a home rower? 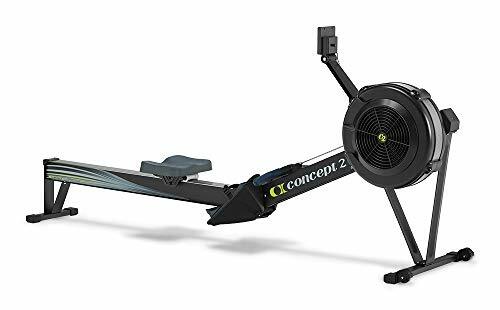 The Concept2 Model D.
Rowers give you a lot of workout potential in a similar way to treadmills and bikes. You can customize your workouts and use the machine however you like. Interval style bursts for an intense, anaerobic workout to boost your power production are just one example of what you can do. Total body circuit training is possible with the right resistance too, as is long range cardio. Of course there are other great pieces of cardio equipment for small spaces. The rowing machine is low impact too and a great way to build fitness or lose weight. They’re affordable and don’t take up much room either. 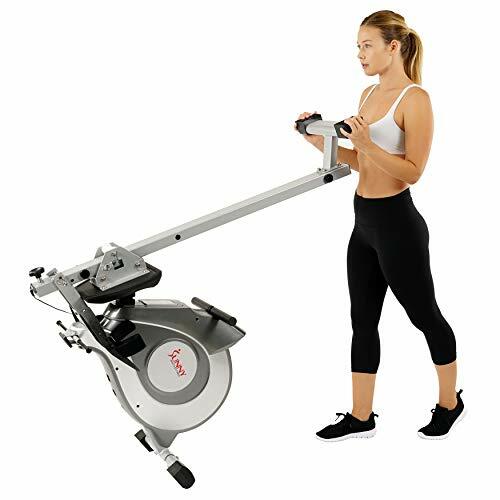 Honestly a rower is one of the most versatile pieces of equipment and gives great results. We’ve rounded up some of the best home machines for you to look at today. If your needs are more specific you might want to look at our best rowers articles for tall people or for under $500. Read on for our highlights! The Model D is an outstanding machine with a ton of cool features. Concept2 are known as a reliable American brand and have been making cardio equipment since the 70’s. They excel in giving a realistic machine with varied difficulty and long-term reliability. Being one of the top dogs in this market means they give a lot of good features too, to put their products over the edge. The Model D is the absolute cream of rowing machines and sees use from athletes all over the world, including Olympic teams. It uses air resistance which means the harder you row, the higher the resistance. Since it can handle Olympic athletes, it will handle your workouts fine. It also means you can set your own workout quite precisely by balancing how hard you row. That’s a great way to keep improving if you always commit to exerting a certain amount of effort, rather than a set speed. The workout will always feel the same to you, but as you improve it will be getting more difficult. The variation isn’t only limited by how hard you pull, there’s also a damper setting. This moves between 1 and 10 and gives a little difference on the resistance once you start pulling. Concept2 machines are known for reliability and the Model D is no exception. It’s built to withstand commercial use and can take a pretty heavy beating. Materials used to build this are solid and tested, with steel and aluminum used at the vulnerable points. Even the moving parts are very reliable, with wear sometimes causing a little noise but nothing worse. The built in monitor tracks your speed, distance, time and all other expected stats. 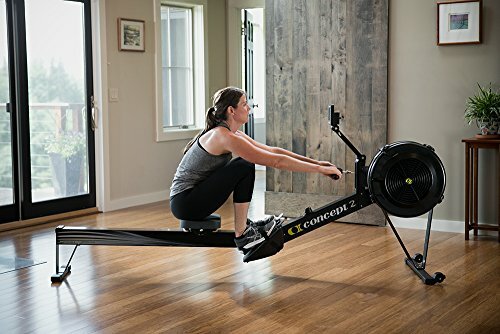 It also lets you choose from 5 pre-set workouts, create a custom routine, do an open row or even play a quick game which helps to teach good rowing technique. There are more stats too in terms of analyzing your stroke technique, allowing a VR row with pace boat, and heart rate monitoring. There’s a USB built in too, so you can store your workout data. A curved and padded seat combined with padded handlebars make the Concept2 Model D comfortable to use. Over time and heavy use these begin to harden up though, so regular users might want to upgrade these areas. This rower also folds away for neat storage. You just unfasten a fixing beneath the front portion of the slide and lift it upright. Like all air resistance machines, this can get quite loud when it’s being used at speed. That isn’t great for people with thin walls/floors and irritable neighbors. The Model D Rower is an expensive machine. It doesn’t try to compete on price though, Concept2 knows you can buy multiple rowers for the price of this one. This one is built to be high quality and long lasting though, so for value it works out well. 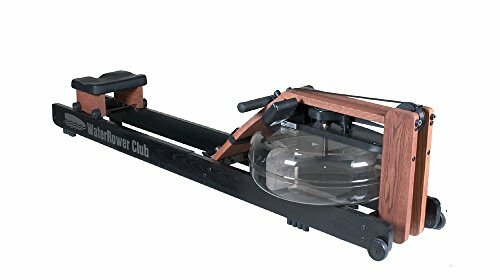 The WaterRower Club Machine is a beautiful looking creation. This type of machine has been around for decades though it hasn’t seen much popularity for a while. It uses water resistance with a flywheel inside a water-filled drum. This model has an eye-catching wooden look and is made to be seen rather than stored. It’s pretty obvious that a water resistance system would offer great realism for actual rowing. The system works in a similar way to the air system. It gives more resistance depending on how hard you pull, so there are no worries over it being too strong/weak for your needs. Using a water system feels smoother to some rowers than air machines. The WaterRower Machine shows all of the relevant stats on an easy to see display. This is the S4 monitor, which shows intensity, time and other regular stats. It also includes stroke rate and you can set up target zones for heart rate, stroke or intensity. There are some pre-set workouts too though this isn’t on the level of a Concept2 monitor. As well as looking nice, some users find the sound of the water resistance to be calming and relaxing. It can make working out much easier to do when you enjoy using the machine and get more than just physical benefits. With no noise from air resistance and solid wood construction, this machine works smoothly and quietly. There haven’t been any complaints of creaking or other noise, and the WaterRower Club doesn’t catch either. With a thick padded seat, this rowing machine is a pleasure to sit on and use. The handle is also comfortable to grip even for long workouts. This is a reliable machine made from solid materials. The design and construction of the rower keeps any vulnerable points well secured, with no glaring weaknesses in the overall design. The foot-straps can sometimes come a bit loose but that’s about the only complaint we’ve seen. 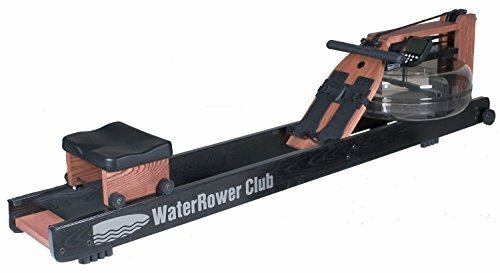 The WaterRower Club Rowing Machine is another upmarket option so it comes with a big price tag. That might put some buyers off, keep in mind this is a reliable machine and could last for life. With that in mind, and the high quality too, this is actually a pretty good value purchase. Our budget pick goes to the Sunny Fitness Rowing Machine, a cheap and versatile machine. It’s simple to use and works for a wide range of abilities, though the build quality is questionable and a short warranty makes that a bigger problem. With the low cost, it’s easy to take the plunge on one of these as a first timer though. It would also be better for this type of user because the lower usage would help the machine last longer. Reason number one why people choose this machine is the price. It’s easy to invest a smaller amount like this, compared to a high end model which might cost around 5x as much. Being cheap is also good because it’s less painful if this does break and need replacing. Using a magnetic resistance system, the Sunny Health & Fitness Rower is able to give workouts for beginners and advanced users alike. Magnetic resistance doesn’t have the same realistic feel of a water or air based system, but it does a good job of giving you something solid to work against. After all, the important thing is that you’re pushing and making gains. The Sunny Rower folds upright for nice, neat storage. It’s a quick and simple process which takes under a minute to do, and basically allows you to stand the long rail part upright. 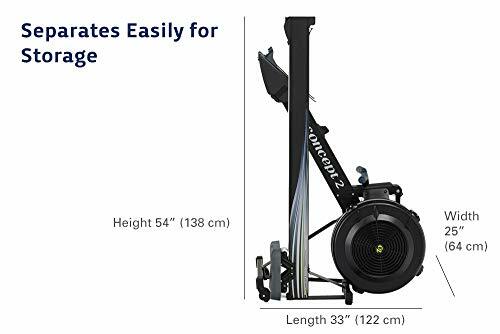 This long piece is what makes rowers awkward to store, folding it upright means this takes as little room as an upright exercise bike. This model tends to wear down quite quickly with heavy use. The average machine might last 1-3 years, though some will get more (or less) time out of it. Moving parts tend to creak or catch slightly over time as well. 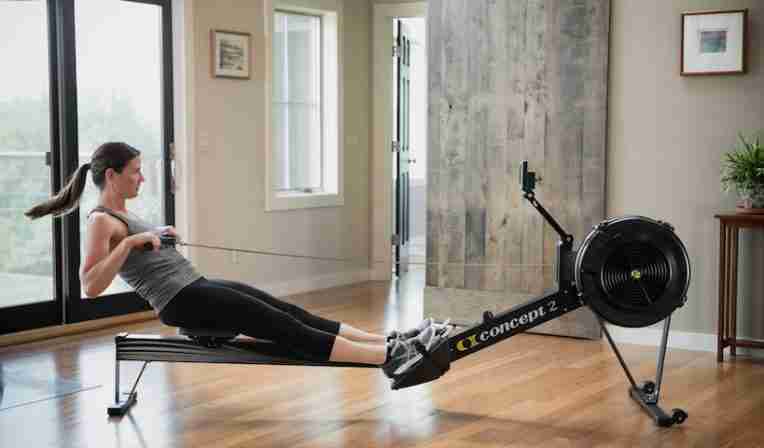 Sunny’s Indoor Rower only handles users up to 220 lbs. Likewise it doesn’t have the best rowing motion which makes it judder for some users. The seat is also kind of hard and small meaning it’s a bit unpleasant to sit on for long time periods. As already mentioned, we do have some other articles for rowing recommendations if you are interested. The picks for you here today include two of the absolute best options out there for home. They’re expensive but totally at the top of the market, and both unique with different benefits. Outside of those there’s our budget pick too. Think about your wants and needs and see which model suits you best. What is the Best Rowing Machine Under 500?